Production operations on the way to becoming fully automated require robots at machine tools for simple and flexible loading and unloading. This is because integrated production can only be achieved by closely intermeshing machine tools and loading tasks. However, companies are also trying to keep the costs for training personnel to operate the robots to a minimum. A simple and flexible solution is required where a robot handles part loading and unloading, and the robot itself is operated from the same user interface as when operating the machine tool. 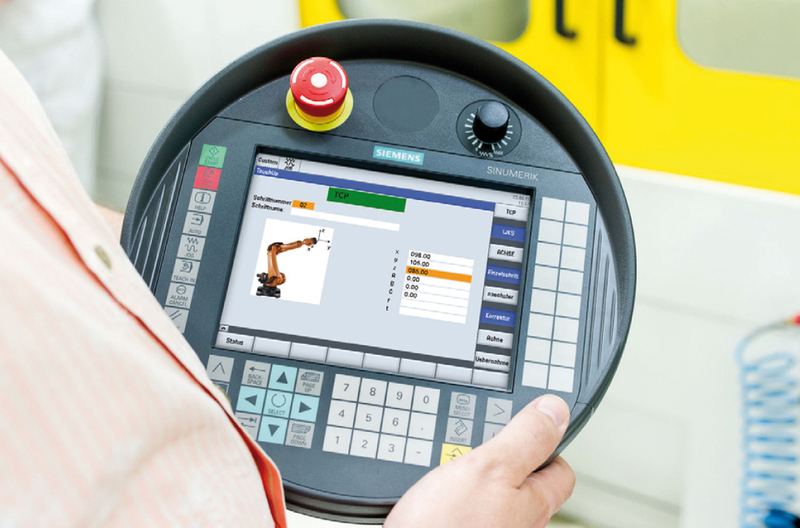 Based upon SINUMERIK Integrate RunMyRobot, Siemens Machine Tool Systems allows robots to be seamlessly integrated into the production landscape. Sinamics G120 drives support, as standard, Profibus DP and Profinet to ensure seamless communications between every component involved in a typical automation solution including HMI (operator control and visualization) and I/O. Additional higher-level functions, including Safety Integrated telegrams and synchronized mechanisms for even the highest level control applications are also included. 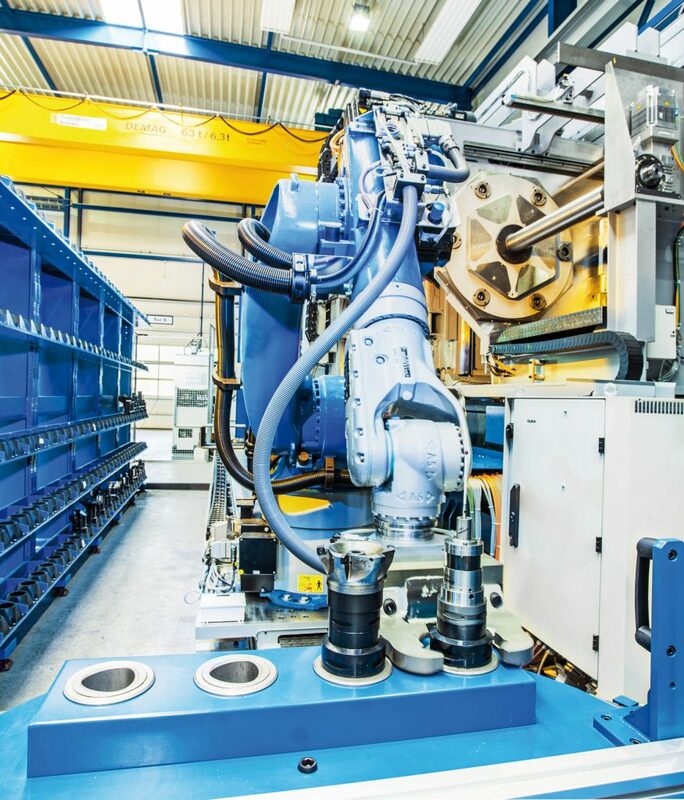 The RunMyRobot technology package facilitates high-speed workpiece and tool handling. Operation, retraction, teach-in and diagnostics can be achieved from the SINUMERIK 840D sl operator panel, which increases the efficiency and flexibility of the machine tool. As a result, the robot can be flexibly added to handle part loading and unloading. Just like every other unit at the machine, it can be operated from the SINUMERIK Operate graphical user interface, which operators feel comfortable with. This makes production automation extremely simple. Robot loading and unloading has inherent advantages, such as the small space required and flexible handling. These strengths can be fully utilized with SINUMERIK Integrate RunMyRobot. The solution is scalable — from the automation of individual production islands up to a completely networked system. As a result, the automation of the part flow at the individual stations, and the complete production planning and control, the tool and resource management and also the maintenance can be optimized — achieving the highest degree of production efficiency. Siemens ground-breaking new concept for efficient work processes surrounding the Sinumerik 840D sl CNC in the form of Smart Operation. Shopfloors will benefit from the use of Smart Operation, as it allows all kinds of work at the machine tool to be performed with greater flexibility and speed and helps boost productivity. The new concept encompasses aspects such as job preparation, IT networking, improved usability with touch operation and the use of mobile devices to perform monitoring and control functions. In short, Smart Operation significantly simplifies the integration of machines into the production process. Smart Operation does not require support by IT specialists and can be simply implemented independently by machine operators — meaning that companies can implement the individual functions using minimal financial and organizational resources. Smart Operation encompasses four areas: Smart Prepare, Smart Operate, Smart IT and Smart Mobile. Smart Prepare is concerned with job preparation and the generation of CNC programs at the PC. Siemens offers high-performance software for this purpose in the form of Sinutrain. Known as control-identical training software, Sinutrain is used as an offline programming workstation. Users will benefit from programming and simulating the next job ahead of time offline at the PC and shopfloors can make significant gains in terms of productivity at the machine. Smart Operate comes with a number of innovations to enhance usability and improve the user interface. The Sinumerik Operate graphical user interface now offers comprehensive touch control. In combination with the new Blackline Panels OP 015 black and OP 019 black, Sinumerik Operate now offers an array of carefully considered and innovative multi-touch operating features. 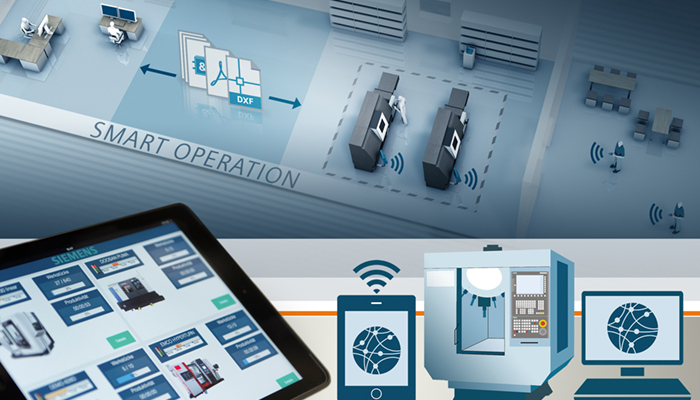 Siemens has optimized the representation of familiar functions to improve user experience, for instance with an improved overview, simpler operation and faster interaction. All of the soft keys and the keyboard can now be displayed and arranged for optimum convenience on-screen. The folder and file structure screen has also been improved — for example with a function for adjusting font sizes, and for hiding or showing detailed information. The Smart IT aspect of Smart Operation enables data to be accessed and managed. Smart IT makes all job-related documentation available such as component programs, DXF drawings and pictures at the operator panel over the network connection. A new DXF viewer and reader now depict files in the popularly used CAD data exchange format to be viewed directly at the machine tool. The user can select the geometry elements displayed in a DXF file using the contour capture function and transfer them directly to program a workpiece machining operation. The option “Execution from External Storage“ (EES) enables elective data accessing by the machine tool from connected USB memory sticks, hard drives and network resources. This allows workpiece data to be viewed directly at the machine and even large component programs to be run from external memories. If required, several NCUs — for instance in rotary transfer machines — can jointly access a central network memory. Smart Mobile is a solution designed to enable the use of mobile devices in the machine tool environment. Using a secured webserver, users can deploy monitoring and control functions using a notebook, smartphone or tablet. This allows up-to-the-minute information such as the current job status or component supply situation to be accessed remotely or service information to be displayed. These functions can benefit machine tool builders from the early development stage of new machine concepts, allowing mobile access to be included as a standard feature from the start.